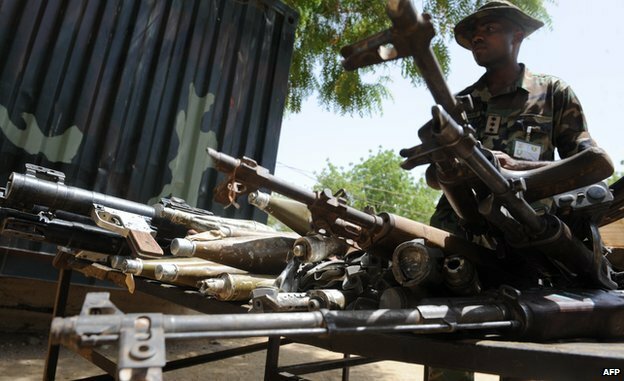 Boko Haram crisis - Is the Nigerian army failing? 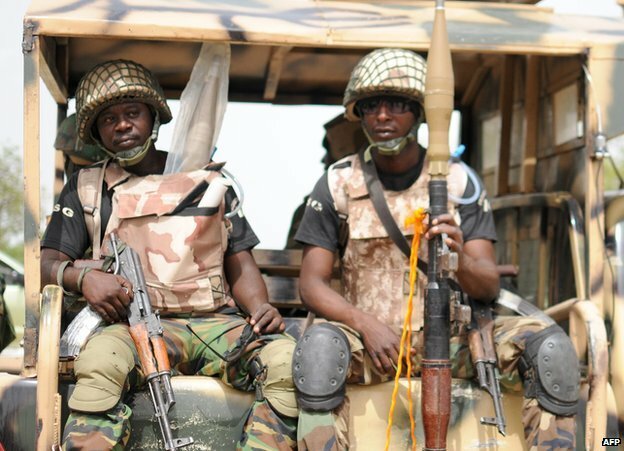 Home Feature Articles Boko Haram crisis - Is the Nigerian army failing? When Nigeria's militant Islamist group Boko Haram abducted more than 200 girls from a school in Chibok in April 2014, the world woke up to the brutality and strength of its insurgency. Since it launched military operations in 2009 to create an Islamic state, the group has seized vast amounts of territory in the north-east of the country and caused a humanitarian crisis affecting some three million people, according to the country's officials. In the run-up to Nigeria's elections on 14 February, Boko Haram has stepped up its attacks. There are also added fears that those living in areas controlled by the group will be unable to vote. There are many factors that have enabled the rise of Islamic militancy in the country, but the blame for some falls on the Nigerian army. Three expert witnesses offer their insight as to whether this is correct, for the BBC World Service's. Seventy soldiers face death by firing squad after being convicted in a military court of mutiny. Representing them is Femi Falana, one of Nigeria's top human rights lawyers, who explains how the circumstances surrounding the mutinies tell a story about why the army is failing. "These are young men whose ages range between 21 and 24. "They joined the army with little or no training. They were rerouted to the battlefront without arms and ammunition, or adequate weapons." They were also frustrated, he explains, by "lack of payment of their salary and operational allowances, lack of adequate weapons and general neglect which were not attended to". This frustration spilled over, he says, when 10 of their comrades "were killed in what the soldiers believed were avoidable circumstances". This coincided with the visit of the division's General Officer Commanding. "In revolt, [some of] the soldiers protested and shot at his car," he explained. "The authorities decided to charge them for mutiny. Of course, they were tried and convicted and sentenced to death." 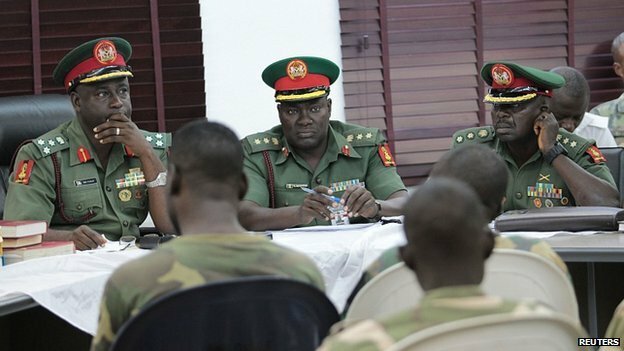 Just a few months later, the army had a more serious mutiny on its hands after Boko Haram killed 23 soldiers and wounded 182 by invading one of Nigeria's military camps in July 2014. As a result, some soldiers refused to fight again until they received improved weaponry, given that promises had been made to adequately supply them in future. When the improved ammunition later arrived, says Mr Falana, these same soldiers fought "gallantly" - but nevertheless found themselves "arrested and charged before a court martial for mutiny" for their earlier actions. Mr Falana believes this is wrong: "You don't punish the soldiers... on account of the negligence of the government in not making weapons available." But the programme's second guest Sambo Dasuki, Nigeria's national security advisor, explained why mutiny is taken so seriously. "The military depends solely on strict discipline for survival. And mutiny is an indication of a complete breakdown of that discipline. "The military law is clear. [The soldiers] who are condemned to death will go through the appeal process. "At the end of the day, the president decides whether to approve [their deaths]." Sambo Dasuki is a former colonel in the army, now advising President Goodluck Jonathan on how to defeat the insurgency, as Nigeria's national security advisor. Mr Dasuki believes Nigeria compares favourably to other countries fighting Islamist militants. "If you look at other insurgencies around the world and how long they've lasted, how much damage they've done, and how some of them are still raging 50 years later, you won't say [our army] has failed. "I think [the rise of Boko Haram] is a new phenomenon they are faced with and they are adapting - not as fast as we would want - but they are adapting to the new challenge." But he admits there have been issues over "lack of training, and also lack of commitment on the part of some of those who join the army". He believes many soldiers sign up because they are "looking for jobs - not because they are interested in careers in the military". However, he disputes claims that the Nigerian army is ill-equipped for battle. "Anybody who has seen the amount of equipment [Boko Haram] has displayed as having been seized from the Nigerian military will not agree that the soldiers were outgunned. "They have sufficient [weaponry] to confront the threat as it is," he explains. But one way that "certainly could help" the situation, he says, is if Nigeria could buy more advanced weaponry from Western allies like the US and the UK. The problem is that previous attempts have "hit brick walls here and there". Asked why, he says: "There were all sorts of excuses. All of a sudden there was an issue of our human rights records... I don't know what sort of standards [our critics] are using." 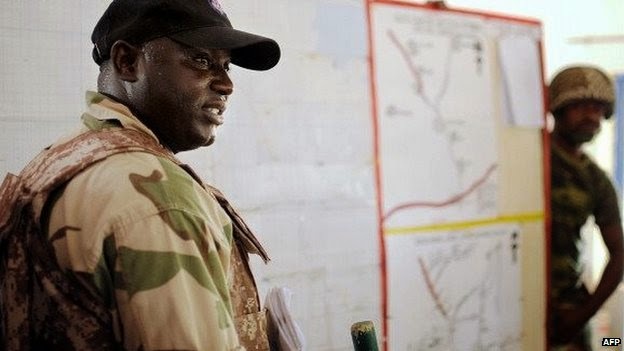 The campaign group Amnesty International has previously said it has seen "gruesome footage" from its fight against Boko Haram, including alleged members of the military slitting the throats of detainees. "There are massive challenges facing [the army], and if one just gets sanctimonious and preaches to them then they justifiably get pretty fed up - particularly in the military, because they are dying in large numbers. "Now, that is not to say that the military are doing a good job, because I don't think anybody reasonably could argue that they are. They've got it badly wrong. "Boko Haram has made significant strides against them. Things have got worse rather than better." He thinks the West should be doing more to support the Nigerian military. "I think that the UK needs to think about this really hard, and I personally think that we have been overprotective. "We can only get ourselves back into a position where the Nigerians can govern their own space if there is the use of some pretty significant physical violence against Boko Haram in the first place. "At the moment, the Nigerian military is not showing that they can do that. "Their equipment is old, it's broken, it's out of date and soldiers - men with rifles - are standing on the ground facing Boko Haram with exactly the same weapon systems as they have themselves. "You have platoon commanders in isolated posts who are trying to communicate with company headquarters by mobile phones. "Given that the mobile phone networks up there have periodically been switched off... they can't do much when they come under attack. "So if I had my way I'd give them pick-up trucks, light-armoured vehicles and radios." But Mr Hall says it is not transparent as to why the army face issues over equipment given that 20% of Nigeria's budget goes on its security services - which include the military and police.  "One can speculate, and - of course - everybody will start talking about corruption, Nigerians as much as outsiders. "There is no doubt at all that the systems of procurement over the years have been subject to pretty serious levels of corruption." Another significant problem, he says, is the kind of training that goes on in the Nigerian military. "While the military takes its academic education very seriously for its officers, their tactical training is not as good as they think it is. Their troops need combat training too. "All the rumours say that they are getting that training increasingly from people like the Russians and, frankly, that has to be a good thing. We shouldn't be forcing people to go and fight untrained."